Mars takes 387 days to complete the cycle of the zodiac. This glyph is the symbol of the sun (the circle) with an arrow that aptly describes how a person ruled by Mars defends and asserts themselves or their egos, it also represents our survival factor and even the Arian sexuality. The glyph for Mars is typically male in nature and represents the energy of Mars bursting forth from the constraints of life with desire to do, to be, and to conquer. This planet is associated with Ares, the God of War. In the beginning Ares was the God of agriculture, giving the crops the life from the sun and the arrow to the farmer for strength to persevere and defend his crops from all predators. This association was changed by the roman solders to represent the ability and the willingness of the warrior to attack all his enemies and defend his life with it's arrow; this arrow gave it another association with war in the mind of the Romans. Mars is concerned with the masculine side of your nature, strongly sexual, it makes one aggressive as well as decisive; Hasty and rude as well as positive and energetic. Mars gives an individual facet to the personality, bringing to the surface the instinctive desires and impulses. It is too often associated with anger and violence by those not having the benefit of the energies it gives to the typical Arian. It denotes the warrior, not the warlike, and gives the subject the courage to face self, (the baser self), the one enemy we all have in common and the one enemy we must all learn to control. On the downside: jealous and combatative, destructive, domineering and obstinate. Your good qualities include: being dynamic, direct, positive in attitude and manner, quick response to situations. Learning to know what you want and how to exert your will without harming anyone else will be your lifes work. Your symbol is the surefooted Ram. Aries is the trail blazer and the pathfinder, they are great starters of things but they soon hand it over to someone else to finish while they search for new worlds to conquer! That is their role in life and the reason that the sun is exalted in the Aries sign as it is here the will is given free rein to express itself. Aries are born leaders and teachers, their teaching is felt more in the relationships they have with others, for example, getting people to see their own actions in a new way or a different light. Everyone benefits who has associations with the higher, more evolved type of Arian. Force as being a part of the Arian nature, means that you should not be afraid of being forceful when circumstances dictate that you should be. If there have been circumstances in your life which made you a victim of force at an early age then you may see fear creeping in and, if you for this reason, do not allow yourself to exhibit your true nature it will lead to suppression and inner turmoil. Suppressing the natural urges, especially when needed to right a wrong to yourself or someone else can also lead to guilt and actual, bodily ailments. You absolutely love a challenge that will stir you to action. The monetary rewards will not be as attractive as the inner satisfaction you get from meeting and overcoming these challenges and leaving your opponents in your heel dust. And, Aries, you were also that weird little kid in school that couldn't wait to take a test to prove you were more capable than your classmates. You always have to be the best at what you do, anything less just does not make any sense to you; you will not accept your own excuses even though you let the world believe them. Arians make very good friends and will be ready and able to help you solve your problems with the same zeal and conviction that he/she attacks his/her own. 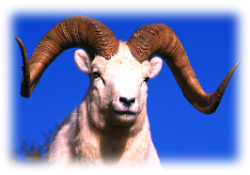 Aries is an extremist, physical, mental, and most assuredly, emotional. But if you are not careful you could go too far and become a social outcast, in which case you would be extremely lonely. ; You are the champion of the underdog and are known to climb up on the soap box anytime or place. You inject new life into your surroundings as you are always emerging into life, spurring others on to come out of the darkness and into the light. Aries is a survivor and even during adversity or perhaps starvation you are apt to ask yourself, "It's not too bad yet, when will the bad times start?". Who works from morn to set of sun? Whose walk is almost like a run? Your color is RED from the red planet. Your metal the unyielding IRON from our earth.